Find the Daily Calendar you are looking for. If you are looking for a daily calendar, I hope this page will be helpful. I've created all kinds of calendars and planners designed to help organize and track your daily activities. 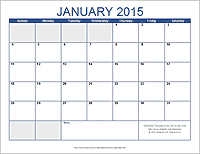 In addition to the template on this page, see below for other examples such as the Daily Planner or Monthly Calendar. If you are looking for one of those little desktop tear-off type daily calendars, I'm afraid that is something I don't have. But keep browsing. Vertex42 provides many different printable calendars and calendar templates for Excel. You may find something else you like. This template lets you print a daily planner page and has a lot of cool features. This is the closest thing I have to a "daily calendar". 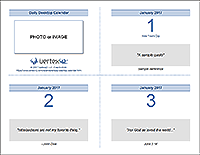 Customize and print your own daily desktop calendar. Some assembly required. 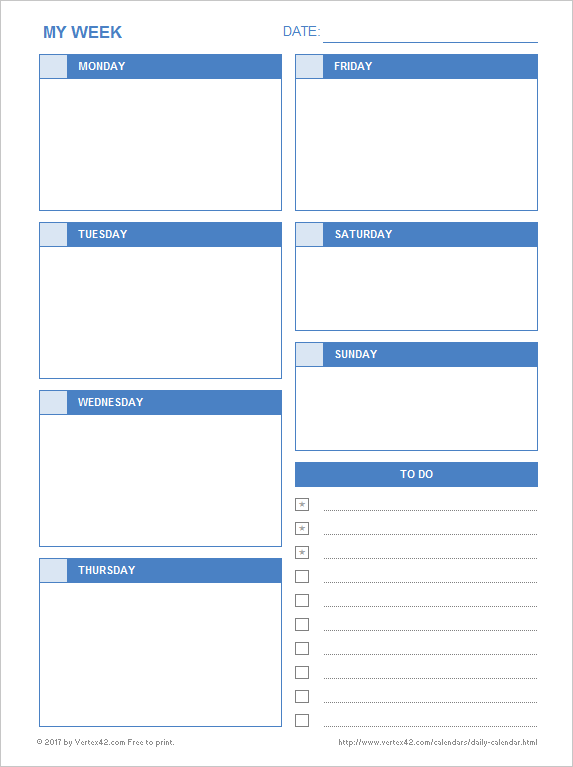 If you want to list appointments or create a schedule for a full week, you might want to take a look at this template. This is usually called a "monthly calendar" but if this is what you are looking for, go ahead and download it. You can find more like this on our printable calendars page.